Why did the musket supplant the crossbow? And why did it happen so quickly? At the end of the 15th century the crossbow was the last word in high-tech weaponry, the most important killing machine on the battlefields of Europe. But its days were numbered. Within just a few years the crossbow all but disappeared, replaced by a lethal new weapon: the musket. Today, it seems obvious that the firearm would prevail, changing the face of war forever. But 500 years ago, when muskets were new and unproven, why were warriors so quick to throw down their trusty crossbows, and pick up the gun? All is revealed in Museum Secrets: Inside The Royal Ontario Museum. Before comparing crossbow and musket, we invite you to compare the relative merits of crossbows from various eras by playing our first person shooter: Crossbow Defender. By the late 15th Century, wars fought by small bands of elite knights were becoming a thing of the past, replaced by bloody struggles between vast armies of raw recruits. At about the same time, a new weapon – the musket – becomes available in the weapons bazaars of Europe. The late-medieval general must choose between arming his men with the trusty crossbow or the new untested musket. If you were a general of the age, you would no doubt weigh these options carefully. The lives of your men hang in the balance. Before making up his mind, the wise general would want to compare crossbow and musket in a head-to-head field test. We don't have a medieval general on hand. 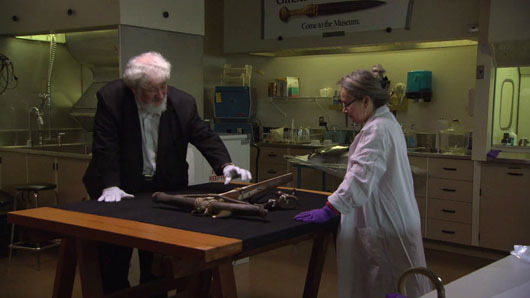 But we have the next best thing: the ROM's expert on medieval weaponry. We invite you to meet him in our Web Exclusive Video: Meet Corey Keeble. Once you have watched the video... we invite you to scroll down further for the final chapter of this story. If a general conducted the same test we did, he would likely see the same results. And then he would realize one cannot choose between musket and crossbow based on lethality alone. That's where the cost factor comes in. It so happens that arming soldiers with muskets or crossbows costs about the same. But what about training costs for a vast army of raw recruits? The less training your recruits need to become proficient with a weapon... the better. Here, as elsewhere in human affairs, time is money. So is it quicker for a neophyte to learn to kill with a crossbow or a musket? 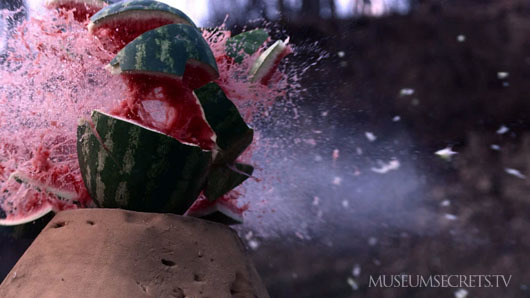 Curator Corey Keeble discovered this for himself. When he took part in our field test, he had never fired either weapon. Armed with a crossbow, even after several attempts, he couldn't hit the target. 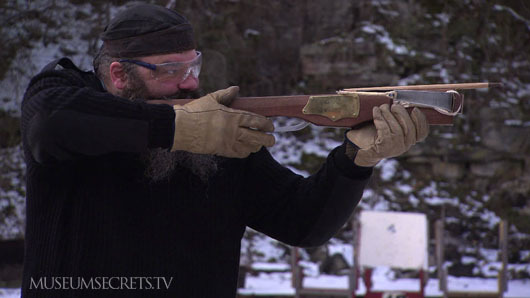 When he picked up a loaded musket for the very first time… well… we’re not going to completely spoil it. 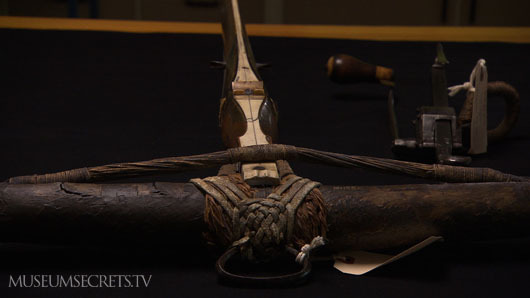 If you haven't watched already... watch how Corey performs with both weapons in this Web Exclusive Video: Crossbow vs. Musket. What you will see is the answer to our question about why late-medieval generals stopped buying crossbows, and spent a King's ransom on ammo and guns. Now that you know the secret of why the musket supplanted the crossbow, you may be wondering how we got from the musket to the modern firearm of today. 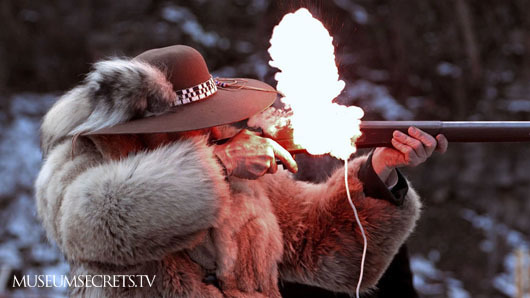 Discover how firing mechanisms evolved from matchlock to flintlock to percussion cap in this Web Exclusive Video: Gun Evolution. The weapons expert who built the crossbow used in our field test is Chris Warrilow. You can find his website including an online weapons gallery at fantasticcreations.ca.